Children Making Strides is an organization that was founded in 1997 by a mother not long after her son was diagnosed with autism at age two. 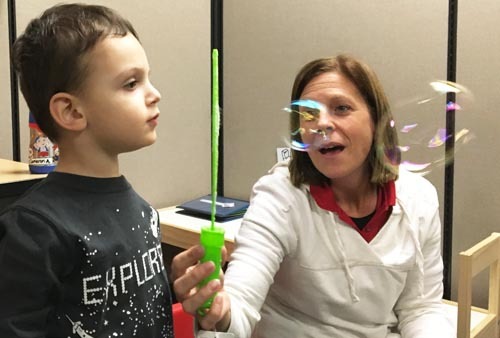 In her efforts to help her child she discovered that there was a tremendous need for services and information for children diagnosed with autism spectrum disorder and there was not much available in the southeastern Massachusetts area. At the same time new information and research was just coming to light about early, intensive services and the dramatic effect that they could have on a child’s development. Those two factors lead to the beginnings of Children Making Strides. Since those early days, our staff has been fortunate to work with thousands of children, helping each one of them reach their full potential. Through a program based on the principle of ABA (Applied Behavior Analysis), a developmentally appropriate curriculum, and a truly dedicated staff, each child has been able to make dramatic gains that once were never thought possible. “CMS has unlocked so much of Braden’s potential. Every member of the staff has been so supportive and committed to Braden’s success.